“I never did want my hair cut. I wear long hair and sideburns because some people look better with long hair. I do because my face is long. The fans like it long, I guess, because they first saw me that way. 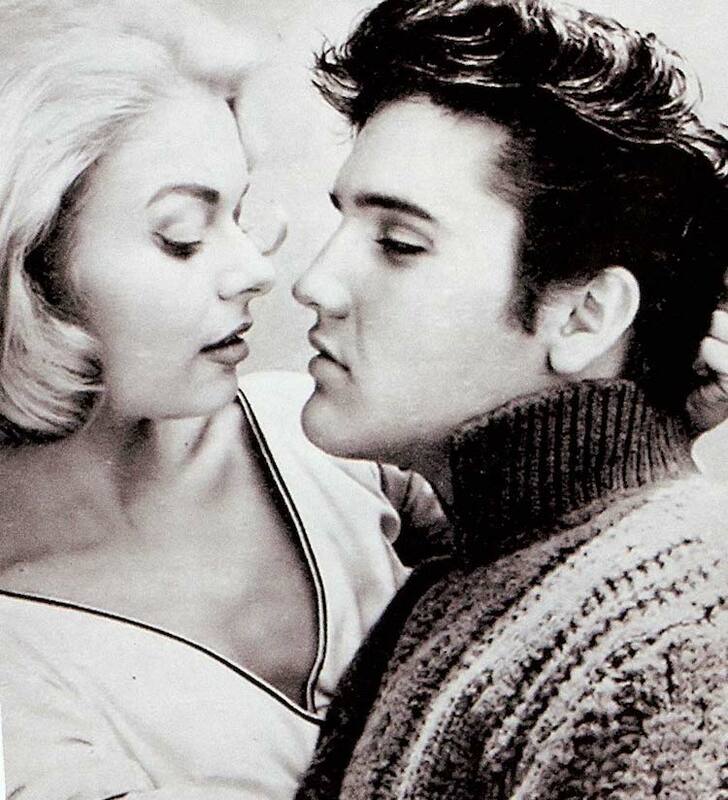 And I certainly don’t want to do anything they wouldn’t like.”— Elvis Presley to columnist Aline Mosby, June 1, 1957. 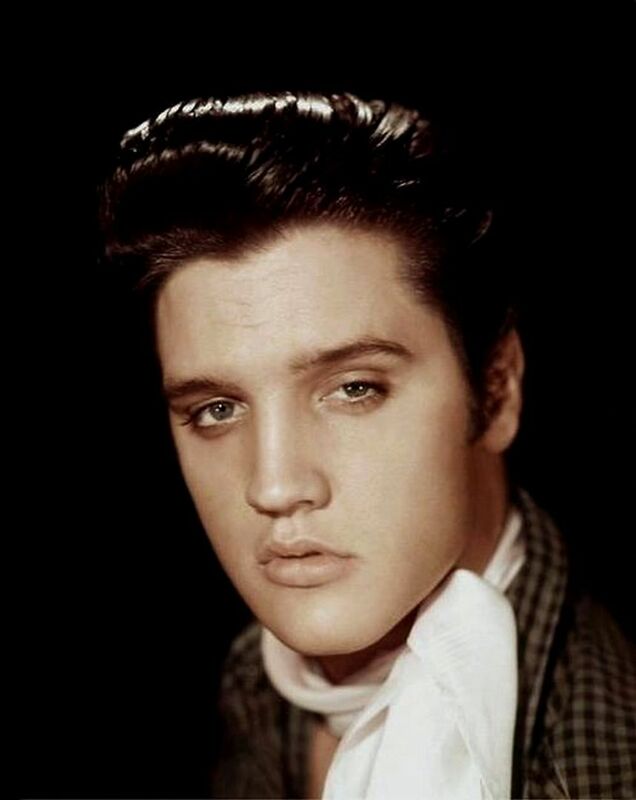 Elvis Presley first grew his sideburns during his teen years, well before he entered the music business in 1954. He told columnist Bob Thomas in early 1957 that his youthful admiration for the sideburned truck drivers he saw around his family’s Tupelo home inspired him to cultivate his own sideburns. “There was just white fuzz there at first,” he explained. By the time Elvis got his first national exposure on the Dorsey Brothers' show in early 1956, his sideburns were in full bloom. 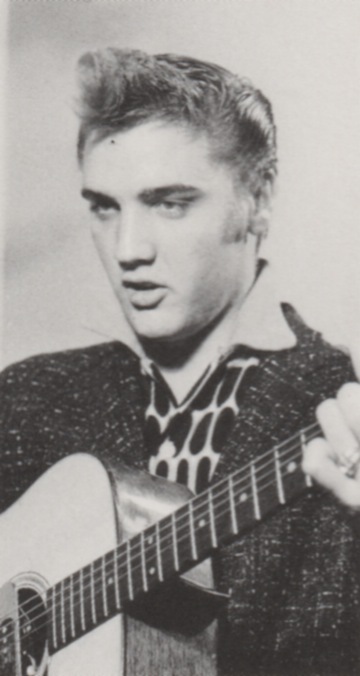 They, combined with the swirled-back long hair on the top of his head, later gave birth to the “Elvis Presley haircut.” As his popularity exploded on the cultural landscape in 1956, many critics and some fellow entertainers (Bing Crosby, among them) strongly suggested that Elvis lose the sideburns. “I like ’em and I’m going to keep ’em,” he declared, and he did all the way through 1957. 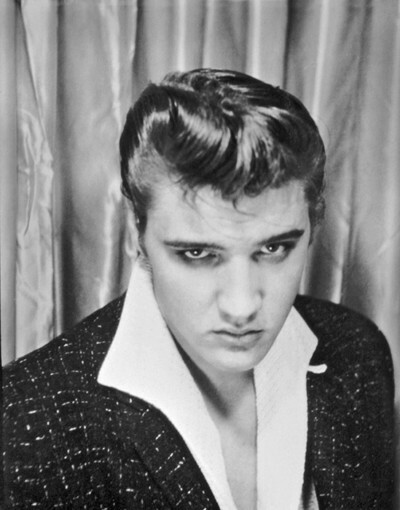 Published letters to newspapers and columnists routinely condemned Presley’s hair. One sent to columnist Betty Jaycox in April 1957 packaged Elvis’s sideburns with a collection of other alleged physical evils associated with Elvis. 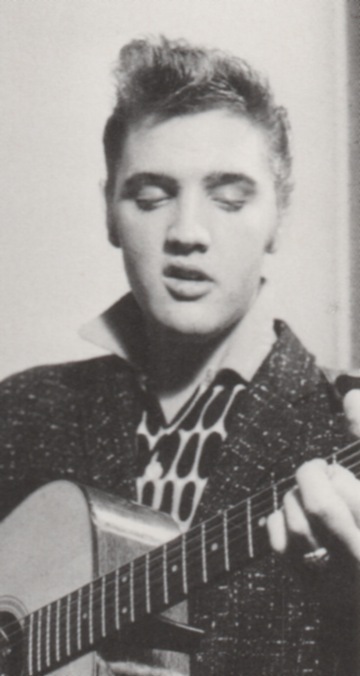 It wasn’t just the critics and public pundits who were disturbed by Presley’s sideburns. 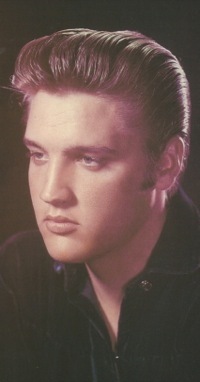 Government institutions, including schools, courts, and law enforcement agencies brought the hammer down on teenage boys who sported “Elvis Presley haircuts.” Journalists, columnists, and private citizens were certainly protected by the First Amendment in their criticism of Elvis’s hair and its perceived negative influence on young people, but when government officials wielded their power against teenagers because of their hairstyles in the 1950s, it was the heavy hand of societal pressure to conform coming down on the right of young people to express themselves. 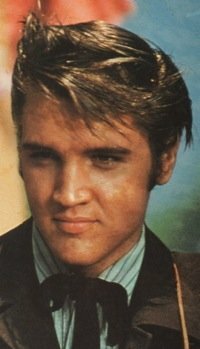 Romeo was not the only high school in 1956-57 to ban students with Elvis Presley sideburns from its classrooms. 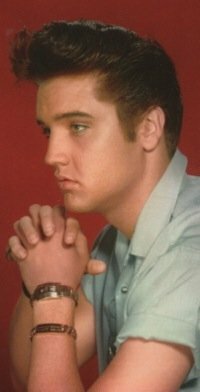 The school board in Mansfield, Texas, not only banned “Presley-type haircuts” from the community’s high school, but also prohibited students from wearing any clothing referring to him or jewelry “suggesting a Presley influence.” Two girls were sent home in January 1957 for wearing skirts on which the singer’s name was printed. Editorials in other newspapers, like The Indianapolis Star below, defended the tonsorial rights of high school students against the tyranny of school boards. “As we may have indicated, you couldn’t get a much lower opinion than ours of the Presley sideburns if you went looking for it in a diving bell. For that matter, we never really cared for the way the Hottentots did their hair, either, or the way Yul Brynner doesn’t wear his. But whether it is Presley, Hottentot, Brynner, or a high school sophomore in Romeo, Michigan, we cannot see that any public official in or out of school has any right to tell them how to cut their hair. Other judges weren’t waiting for “some day.” They were using their power to force young defendants to get rid of their Presley haircuts. One was Magistrate W.A. Stewart in Denton, Maryland. After sentencing, he ordered a 19-year-old defendant, accused of stealing a wallet, to get his Presley-style locks removed in favor of a more conventional haircut. Deputy Sheriff Phonie Andrew escorted the young man directly to a nearby barbershop and supervised the operation. In July 1957, the Associated Press reported that William Sira, 21, sporting an “Elvis Presley haircut—complete with sideburns that almost reached his chin,” appeared before Hudson County, New Jersey, Judge John B. Graf on a charge of violating probation. “Get those ladders off your face, and get a haircut,” Graf told Sira. When he left the courthouse, the AP report noted that Sira had a “cooler head” than when he went in. Law enforcement agencies also sometimes took matters in their hands when it came to Elvis hairstyles. In October 1957, Indianapolis Sheriff Robert O’Neal announced Presley-type haircuts wouldn’t be tolerated in Marion County Jail. “They are a menace to health in the jail. Those long sideburns will feel the snip of the clippers,” he declared. Ten days later, sheriff deputies, turned barber, had shorn the heads of 103 jail inmates. 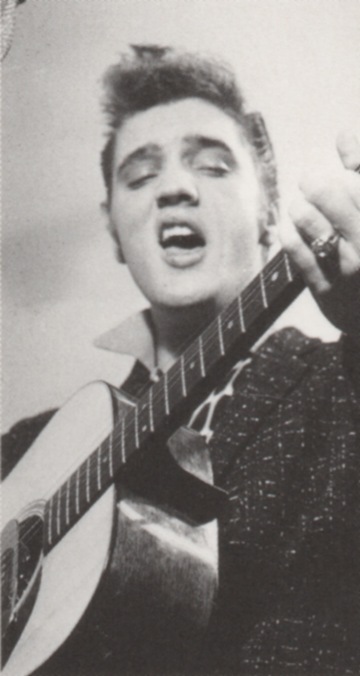 On the lighter side, Elvis and his famous sideburns brought out more than a few entrepreneurs intent on making a buck off his notoriety in the fifties. One was Jacob Cohen, a Chicago laundry owner. In 1957, he invented and patented a gauge to precisely measure the length of sideburns. The gauge fit over the top of the head like a telephone operator’s headset. Where the earphones would be, identical guides on each side moved up and down along graduated scales. To make sure the side-whiskers would be even, the gauge employed a bubble in a glass tube, using the same principle as a carpenter’s level. 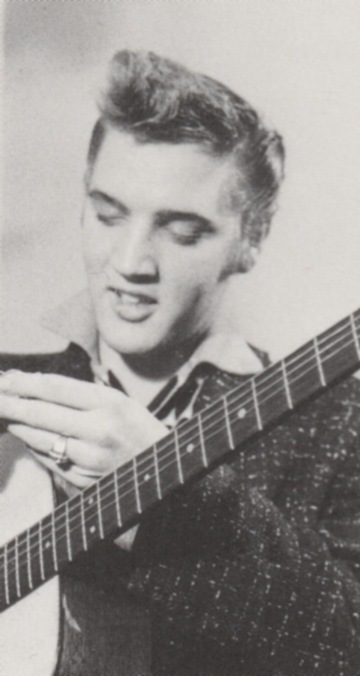 If, say, a young man wanted his sideburns to end exactly where Presley’s did, he would have his barber set the metal tabs on the desired length on the scale and cut the sideburns off at that level. Of course, a guy could have just trusted his barber to eyeball the evenness of the sideburns and saved himself the cost of the gauge. Teenage boys were not the only demographic group growing sideburns in the mid-fifties. 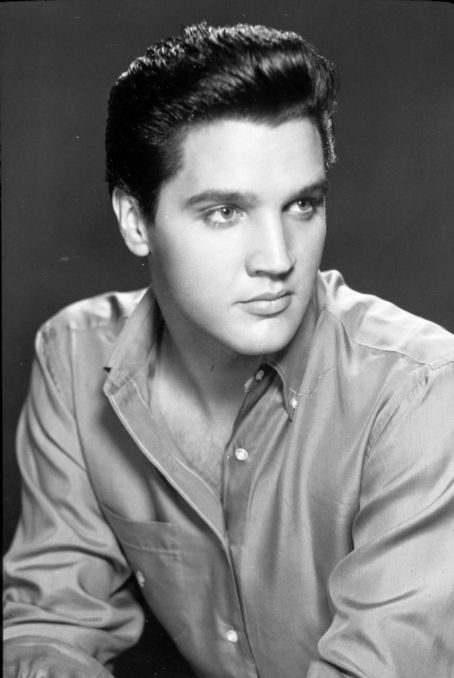 Though to a lesser degree, Elvis Presley’s hairstyle also made some inroads with men in their 20s and 30s. On occasion, some of these “older” men found themselves victims of mistaken identity. For example, in May 1957, when a screaming mob of 300 teenagers mistook him for Elvis, Charles King, sporting curly hair and sideburns, had his clothes torn before taking refuge in a Cleveland phone booth. 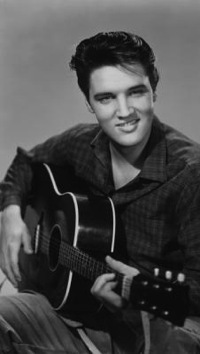 Since most Elvis devotees in the fifties were female, it wasn’t long before someone came up with a “Presley cut” for women. Grand Rapids, Michigan, hair stylist Glenwood F. Dodgson may have been the first to do so. 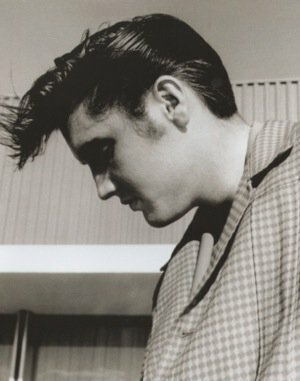 He explained how he developed a Presley style for women to a United Press reporter in February 1957. A hair stylist for 20 years and owner of 10 salons, Dodgson said the new haircut would give women a “natural and casual look, but still have that reckless touch. It’s ideal for spring and summer. It is mainly for teen-agers, but it would look well on older women with the right features.” Dodgson estimated that between 300 and 400 women had come into his salons asking for “Presley cuts” since he gave the first one in January 1957. “It’ll sweep the nation,” he predicted. And what about the set of sideburns that started all that public ruckus, those that bookended Elvis Presley head? They continued to be on display wherever he appeared in 1956 and 1957—at over 120 concert dates, during 12 national network TV appearances, and in three Hollywood movies. All the while, the debate raged on. The critics wanted the sideburns gone; the fans wanted them to stay. In the summer of 1957, Helen Magyar and Alice Steinhauer, both 19, from St. Paul, Minnesota, unexpectedly had a up close encounter with the famous sideburns. After graduating from high school the year before, they worked for a year to earn enough to pay for a trip to Memphis. At 8 p.m. one evening, they showed up at the gates of Graceland. After convincing gate tender Uncle Travis Smith to send a note up to Elvis, the girls we told he would see them. He greeted the nervous girls halfway up the winding drive to Graceland. They gave Elvis a teddy bear they had bought for him, and he, in return, planted a kiss on each girl’s cheek. During their conversation with Elvis, they asked if they could do something they’d wanted to do for a long time. “He let us run our fingers through his sideburns,” they later told the Memphis Press-Scimitar. While Elvis’s sideburns fascinated his multitude of young female fans, his critics longed for the day they would disappear. 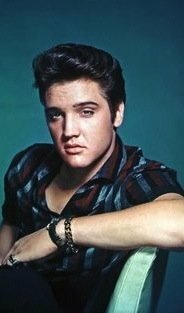 Since Elvis apparently wasn’t going to get rid of them himself, his detractors looked around for someone else who could do the job. The most promising candidate was an Army barber. 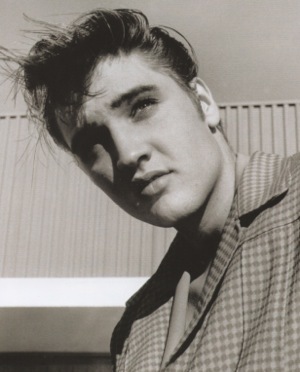 The Memphis Draft Board had added Elvis to the bottom of its draft pool list following his 18thbirthday in 1953. When he would be called up, if ever, depended on the board’s draft quota. For Presley’s critics, the sooner his number came up, the better. A Billboard article in October 1956 expressed some wishful thinking. “The most famous sideburns in America will be shaved early in December,” the writer avowed, “when Elvis Presley reports to Fort Dix, NJ, as an army inductee.” Actually, Elvis didn’t undergo his pre-induction physical until January 4, 1957. 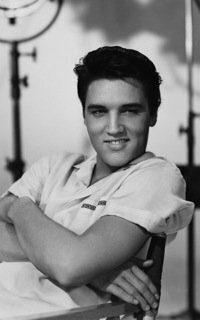 He passed, and four days later, on his 22ndbirthday, Elvis Presley was classified as 1-A, meaning he could be drafted at any time. 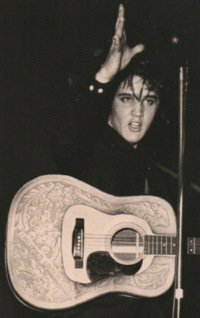 The euphoria of Presley’s enemies in the press was soon deflated, however, when an army spokesman predicted that Elvis would go into the special services branch and be allowed to keep his long hair. The editorial board of The Tampa Tribune was especially disappointed by the news. “It had been idyllic to contemplate Elvis in the GI barber’s chair, amid the fallen sideburns and the ravished ducktail,” the paper sadly noted. 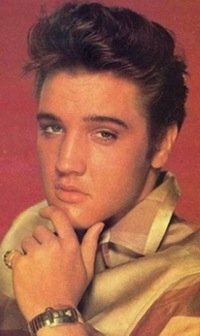 But suddenly the hopes of Presley’s detractors were revived. Higher ups in the Army decided Elvis would indeed have his sideburns shaved off after he was drafted. To the surprise of his critics, Elvis agreed. “There never has been anyone who could avoid having his hair cut short in the Army,” he reasoned. “Even if they did give me special permission, I wouldn’t want it.” In March 1957, Elvis repeated his willingness get an Army haircut to Hollywood columnist Vernon Scott. The critics couldn’t wait—but suddenly it appeared as if they wouldn’t have to. 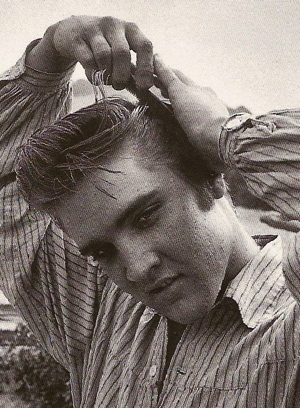 Elvis, himself, brought up the prospect of getting a pre-army head shave. During a press conference prior to a stage show in Chicago on March 29, 1957, Elvis revealed that, if the Army didn’t get him first, he would exchange his lavish sideburns and duck-tailed hairdo for a crew cut for his next movie. 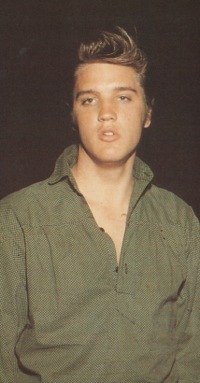 In Jailhouse Rock, which would begin production five weeks later in May, Presley would play a penitentiary prisoner. So it appeared that an MGM barber instead of an Army one who would remove the famous sideburns. 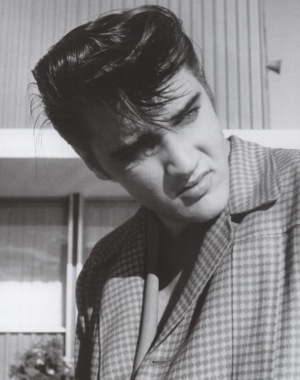 The Arizona Republic reported that Elvis would actually be de-haired during a scene in the movie. 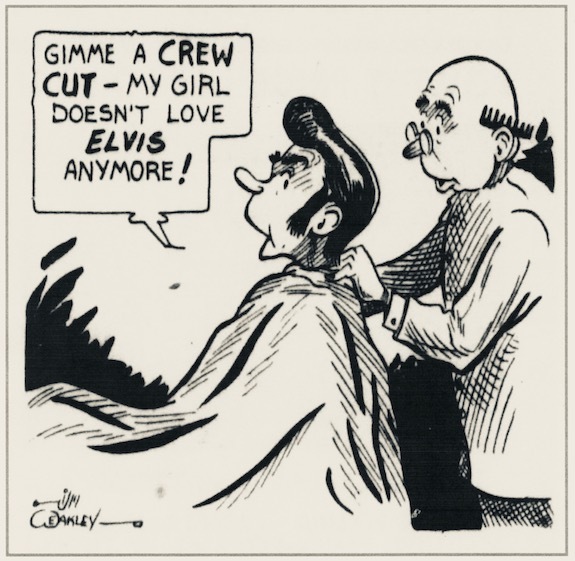 “Elvis Presley’s movie studio issued a communiqué yesterday that it has picked a filmland barber to brave the wrath of teenage disciples by shearing the side-burned rock ’n’ roller in a movie. Metro-Goldwyn-Mayer Producer Pandro S. Berman tapped Joseph Bullaro for the job, largely on the basis of experience. 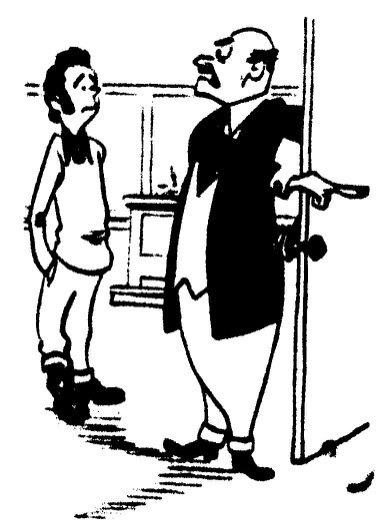 Bullaro has trimmed such celebrities as Bing Crosby—just a little on the sides—and Clark Cable. He will give undulating Elvis the full business—a ‘butch’ haircut—in Presley’s forthcoming picture ‘Jailhouse Rock.’ Bullaro will play a prison barber, and Elvis a prisoner. So, it seemed it was going to be an Army barber after all who would shear off Elvis Presley’s sideburns. 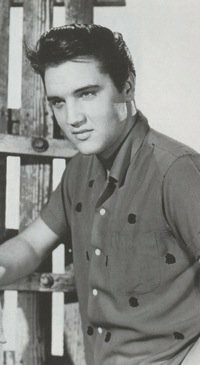 Elvis received his draft notice on December 19, 1957, and, after a 60-day deferment granted for him to complete his work on King Creole, his induction was set for March 24, 1958. Press photographers left open their calendars for that week to record the long-awaited shaving off of Elvis Presley’s sideburns.